I went to Wamego, KS last weekend in hopes of viewing some good tulip scenes. Because of the late spring and very dry spring the tulips were mostly not blooming yet. I haven't had time to get back there. 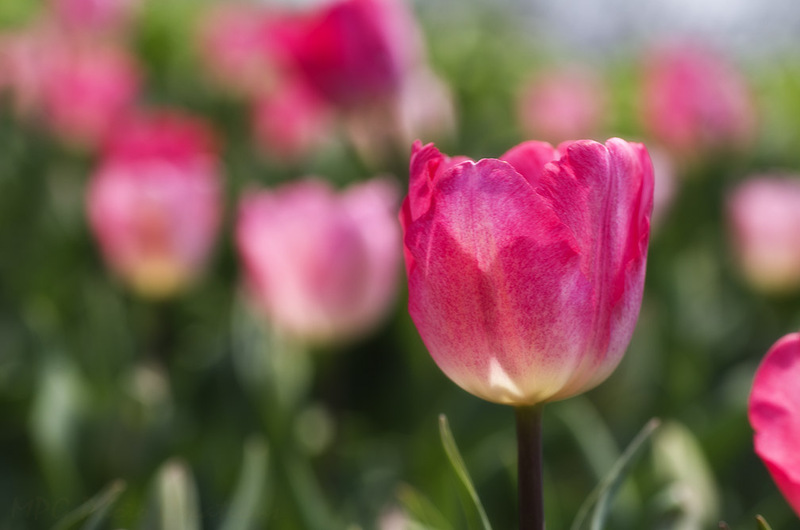 I was able to capture this image in an area where these lovely pink tulips were in bloom. I liked the way the sunlight was hitting them.